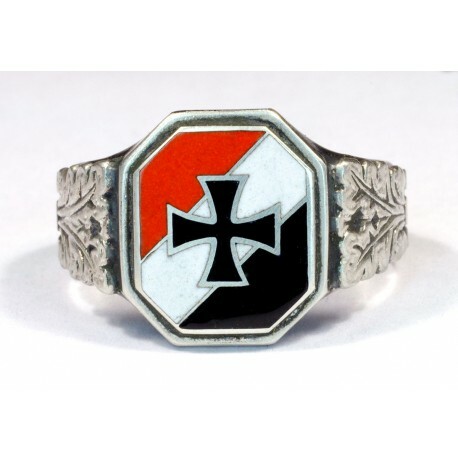 WWI Imperial German silver rings for sale. 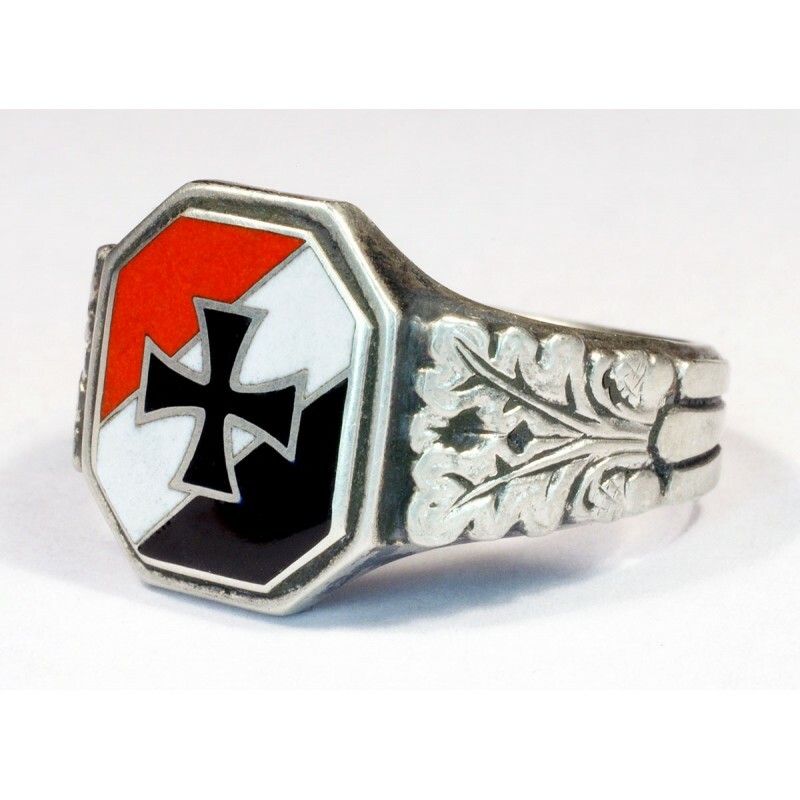 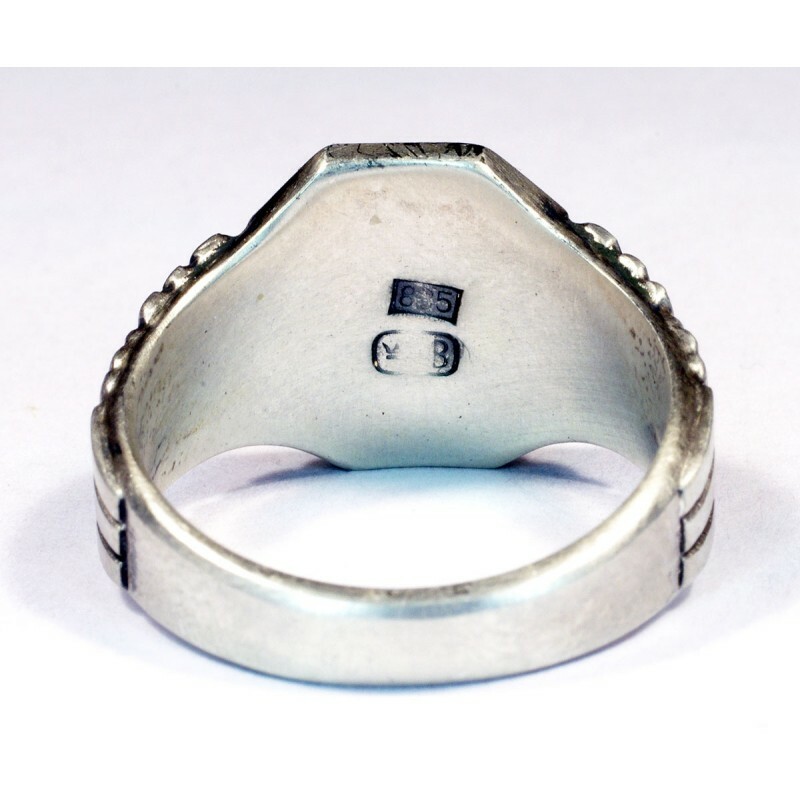 You can acquire this World War 1 -World War 2 period German sterling silver ring with sharp details in a good condition. 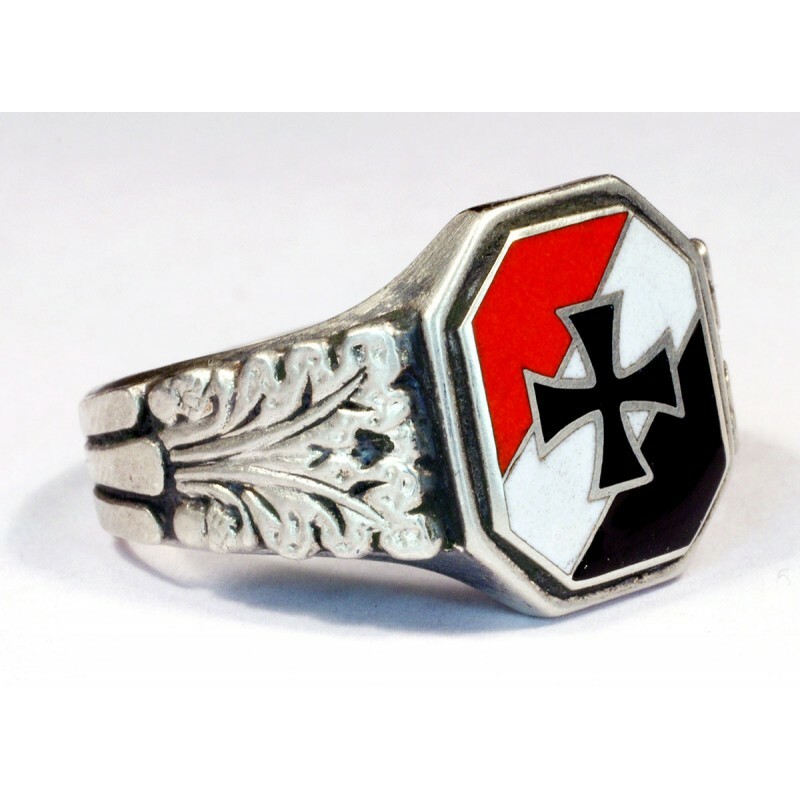 Sterling silver ring with an enameled symbol in a centerpiece.